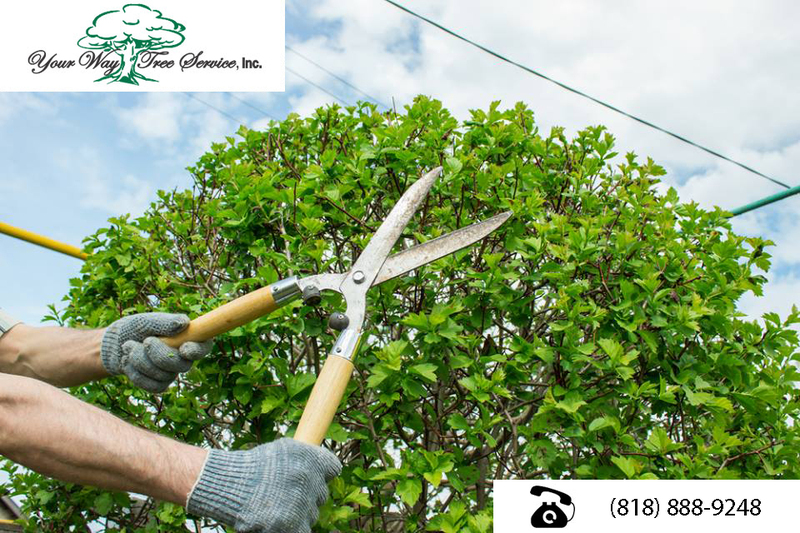 Better Tree Trimming in Calabasas | You Way Tree Service Inc.
We know that you have a lot of options for better tree trimming Calabasas. That’s why we do everything we can to show that we’re worthy of you hiring us for your tree trimming needs. 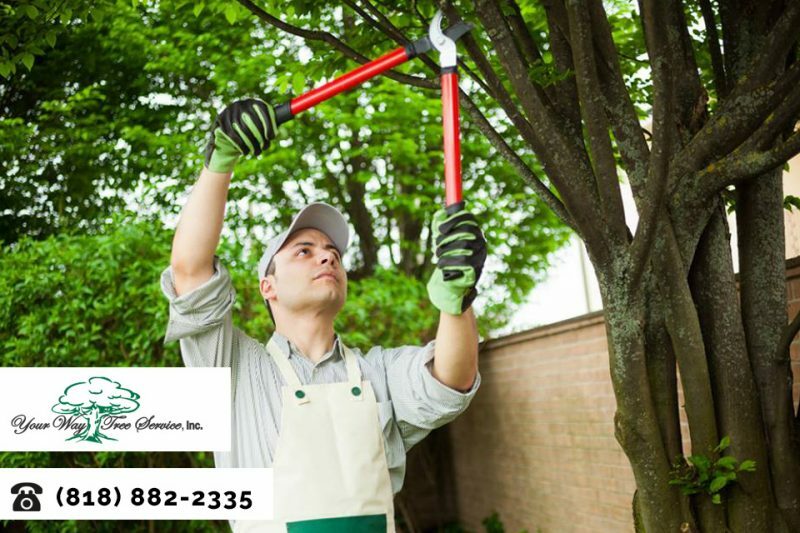 Of course, when we say “tree trimming,” we mean so much more than “we just cut some of the branches off of the trees.” It means that we can remove stumps; it means that we can even plant trees; it means that we can perform a wide variety of tree-related services for your property. In this blog, we’ll cover some of the factors that set us apart from other tree trimming companies. In the past, many tree trimming companies would cut down the trees, trim some dead branches, and then not do much with the remains. They might throw them out, they might go and sell them to a lumber yard, but often they would just be dumped somewhere. In many cases, the extra wood would just be burned, sometimes on site. As you might imagine, literally none of this was good for the environment, or even remotely green-conscious. Here at Your Way Tree Service, we’re proud and strong advocates of recycling. We believe that the environment is everyone’s responsibility. We’re all lucky enough to live in southern California. So, it’s incumbent upon all of us to make sure that southern California has a wonderful climate. To that end, we make sure that we are a 100% green waste recycling service. Look over that previous sentence again: we did not say that we are an 85% green waste recycling service. We didn’t say that we are a green waste recycling service “most of the time” or even “almost all of the time.” We said that we’re a 100% green waste recycling service. We recycle all of the green waste with the expressed goal of making the environment better for everyone. Just about everything from your trimmed or downed trees can be used for something. In fact, from the leaves to the trunk, we process your tree into 100% organic mulch. This is some of the best mulch around, as it comes from southern California trees. However, that’s not the only use that we have for your trees. We can also use them as firewood. That means that your tree, which was an obstruction or dead or negatively impacting your life in some way, is able to then be turned into the kind of heat that can keep someone warm this winter. That’s just what the power of recycling is: turning something unwanted into something necessary. We’ve had people see us move trees off of their property and ask: “wait, I thought you were going to recycle them?” If you so see us do that, yes we are still recycling them. We’re just moving the trees to a facility. There at the facility, they’ll be processed into the kind of wood that will keep someone warm in the winter time. It’s important to keep in mind that we don’t just do this for our residential clients. We also work with plenty of construction companies, builders, businesses and all sorts of communities to help process their green waste, too. It’s one more way that we can help the environment. We’ve found that many people seem to think that the only way our tree trimming helps the environment is by recycling the trees themselves. That’s actually only partially true. See, when we recycle the wood, it keeps the trees from falling into anaerobic decay. If that sounds vaguely familiar, to you, it should: it produces greenhouse gases. It produces the same greenhouse gases that negatively impact the atmosphere, environment and so much else. One way we’re able to do this is we use cranes whenever we can. That makes it easier to reuse the trees for recycling once they’ve fallen. Everything, from the logs to the trimmings to everything else that we gather at client’s properties are then recycled. Sometimes, you read the news or look outside your window and it can feel like the environment has turned on us. However, we can all do our part to help the environment to be as great as it can be. Our green recycling program can be used with any of our services. So, we can recycle if you call us for a tree trimming. We can recycle if you hire us to remove your stump or skim a palm tree, or anything else. We always discourage our clients from burning trees or other green waste not just because it hurts the environment, but also because it eliminates the kinds of good nutrients that make for great soil. To learn more about our green tree services or any others, give us a call at (818) 888-9248 or head to our site.